Happy Labor Day! 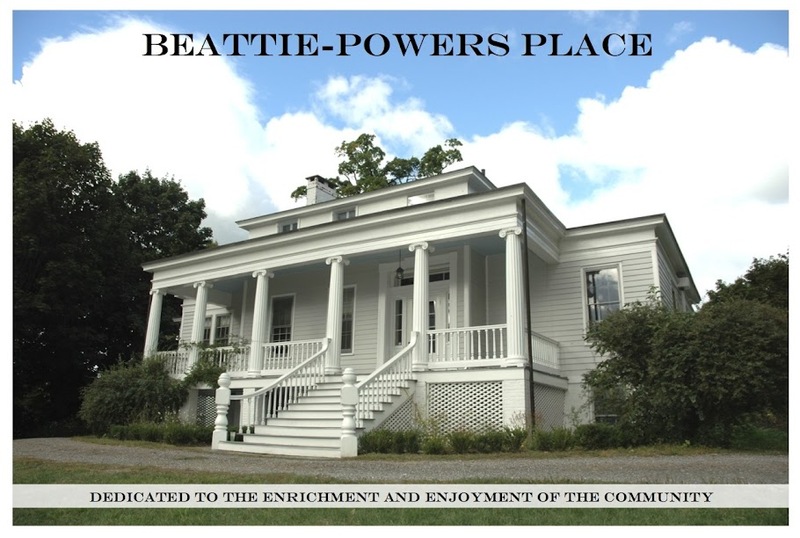 As the days grow cooler, it reminds me that our fall season at Beattie-Powers is soon to commence. So I’d like to take this opportunity to look back – and ahead at what’s to come. This summer we initiated a lecture series on local environmental issues. With the BP spill in the Gulf of Mexico as a backdrop, nothing could have been more timely – nor more of a departure from our usual offerings of concerts and culture. We saw new faces in addition to our regular audience, and everyone enjoyed thought-provoking presentations that inspired lively conversation. Looking forward (but only by mere days! ), you’ll want to make Beattie-Powers a stop on the Catskill Gallery Association tour taking place September 11th and 12th. We are pleased to present twenty one painting and drawings by 19th Century Catskill artist B.B.G. Stone, on loan from the Greene County Historical Society. Open hours will be 11 a.m. to 5 p.m. each day. On Sunday, September 12th at 2 pm, Hudson Valley historian and genealogist Sylvia Hasenkopf will present A Tale of Two Women Who Shaped Catskill’s Landscape: Edith Howland and Katherine C. Budd. Howland was a sculptress and member of one of Catskill’s premier families during America’s Golden Age of late 19th century, whose wealth enabled them to build one of Greene County’s most memorable houses, presently known as Catwalk. Now the home of Jim and Purcell Palmer – and home to an innovative arts residency program -- Catwalk has been lovingly restored to its original glory. Katherine C. Budd was an architect, a rarity in her time. Ms. Hasenkopf will explore the role of these two extraordinary, independent women regarded as mavericks in an era when men considered women to be neither intelligent nor capable enough to be successful in the male-dominated art world. This event is free and open to all. On Saturday, October 2nd at noon, join us for our Fall Potluck Luncheon. It’s a wonderful opportunity to enjoy the house and view, meet friends old and new, and enjoy a delicious lunch (followed by a general meeting). Admission is $10 or a dish of your own preparation if you’d prefer to show off your culinary skills. This is also the perfect time to renew your membership. Finally, I’m delighted to inform you that our Bard concert series will resume in November. Once again, gifted students from the Bard College Conservatory of Music will thrill us all with their highly polished performances. It’s no surprise that these concerts have earned a large following of chamber music lovers. This free series of four concerts will extend through the spring; admission is free. As dates are firmed up, we will email you in advance and feature on our blog: http://beattiepowersplace.blogspot.com. I hope to see you all in the coming weeks, and wish you a splendid fall.